Become a 2018 HEA Conference Sponsor! ·The largest and most prominent sponsor logo placement on all collateral materials related to conference promotion and branding (online and in print; both preceding and at Conference). ·Four seats to attend the Conference. ·Recognition during Opening Ceremony remarks at Conference. ·Prominent advertisement placement in the program. ·Organizational materials placed on registration tables OR an option to host a booth during registration, lunch, and networking opportunities at Conference. ·Prominent logo placement on all collateral materials related to conference promotion and branding (online and in print; both preceding and at Conference). ·Two seats to attend the Conference. ·Sponsor name placement on all collateral materials related to Conference promotion and branding (online and in print; both preceding and at Conference). ·One seat to attend the Conference. 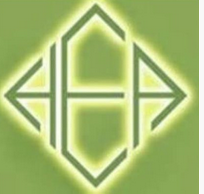 ·One Annual Individual Membership to HEA through next calendar year (end 12/2019). ·Sponsor company/affiliate logo placement included on all collateral materials related to Conference promotion and branding (online and in print; both preceding and at Conference). HEA members are invited to support Conference efforts through a $20 donation. ·Member Sponsors will have their name and company/affiliate name included in the Member Sponsor section of the Conference Program. •Sponsor name placement on all collateral materials related to Conference promotion and branding (online and in print; both preceding and at Conference). Media: If you are interested in becoming a media partner or sponsor, please contact Jeri at jeri@eventsint.com to discuss opportunities. Click here to re-send your order confirmation or PDF sponsorships.